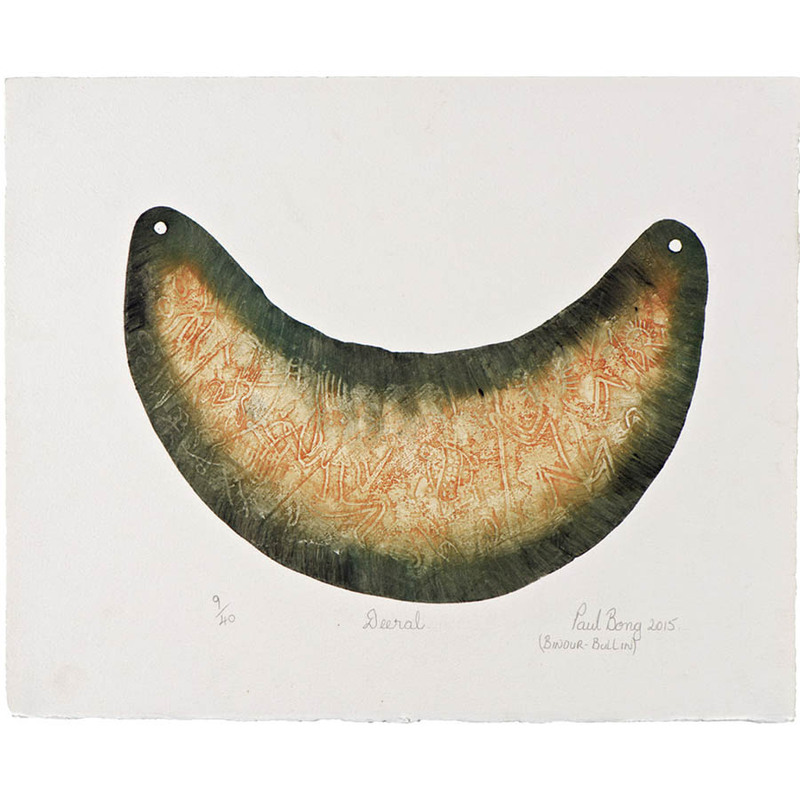 The Breast plates in Bong's work represent the time of colonisation by European settlers and the mistreatment of Indigenous people during this time. They also symbolise the survival and resistance of the Indigenous people, a reminder of the complex history and stories that are part of Australia. The Breast plates represent different regions in the North Queensland area including Gordonvale, Deeral, Atherton, Yattee and Buna-Binda. The designs depict the culture of the Yidinji people and are intrically created using intaglio etching and vinyl techniques.